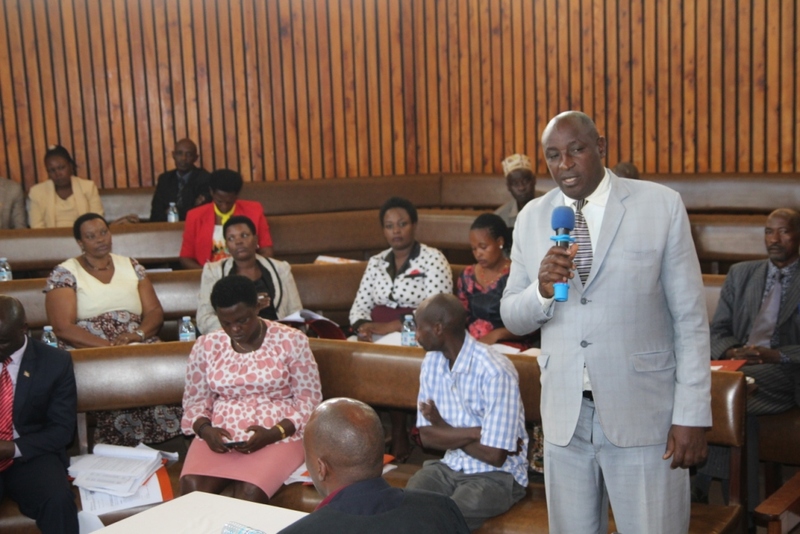 Mbarara district Vice Chairperson, Godfrey Baryomunsi speaking in a council sitting on Monday. 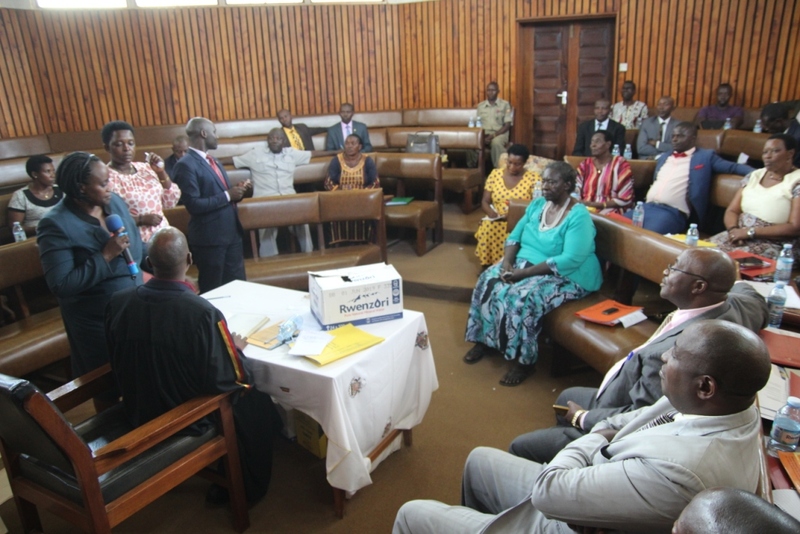 Mbarara district Vice Chairperson, Godfrey Baryomunsi has accused the district accounting officer, Cuthbert Esoku of corruption and conniving with some other district leaders to frustrate government work. He pegged this on the sluggishness of Esoku in implementing the resolutions of the district council as well as his alleged involvement in mismanaging district property. While making a submission in a council sitting on Monday, Baryomunsi blamed the CAO for failure to expedite the handover of office of Jeconeaus Musingwire, the former district Natural Resources Officer to allow for the smooth flow of business in the department. “For example, we had a Natural Resources Officer who wrote to us that he had left this district. He now works with NEMA. He wrote to the CAO requesting to handover. It has now been almost a month and a half. 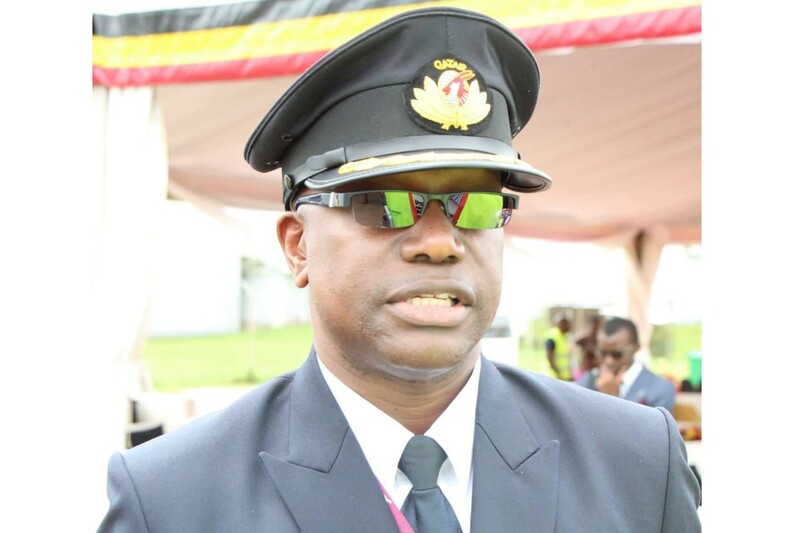 I requested the CAO to invite Mr. Musingwire to come and handover so that the office of the natural resource can continue to do its work,” Baryomunsi told council on Monday. “Up to now, Musingwire has not been invited and when you go to the CAO, he keeps on saying he will handle,” he added. The Vice Chairperson asked that the council shoots in the same goal in as far as ensuring service delivery, and warned that the officers sabotaging implementation of government programs will be fired. Baryomunsi said the CAO is in the habit of transferring incompetent leaders from one sub-county to another even when they are reported by the locals as not being effective. He cited a case of a health inspector in Ndeija who had been caught forging stamps but was transferred to Mwizi with no penalty. Baryomunsi recommended for stringent measures against errant civil servants so that it can deter those intending to engage in corrupt practices. “There is this issue of transferring problems from one sub-county to another. It’s a big problem,” he said. “So, we ask – why do you transfer problems from Kagongi to Mwizi and we keep quiet, you again hear that he [health inspector] frustrated work in Mwizi and was transferred to Rubaya” explained Baryomunsi. He also cited a number of incidents where sub-county chiefs have sold government property and remitting what he called “unknown funds” to both the CAO and CFO. The matter followed concerns raised by some of the councilors on the rampant sale of sub-county land by sub-county chiefs. 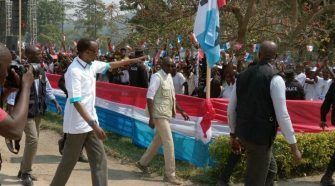 A visibly bitter Baryomunsi said Esoku should be fired and be replaced by another hardworking competent CAO who will effectively account for public resources and implement district programs. “The CAO and the Chief Finance Officer (CFO) are not doing a service to us. If council passes a resolution, we must follow it to the end and the CAO must implement it or else he leaves the district”. “Enough is enough. If CAO wants to play with us here in Ankole, let’s show him the exit. He must implement our resolutions. We are the ones from Ankole and we feel sorry for our property but he minds less since he hails from Kabiramaido” the Chairperson fumed. Speaking to SoftPower News, Jeconeaus Musingwire said that he wrote a transfer of service letter to the CAO but has not been replied to yet. “You don’t just do two jobs at a go. I wrote to them and I stopped getting salary,” m Musingwire told SoftPower News. Musingwire is now the NEMA manager taking on 3 regions of Tooro, Masaka and Ankole under the Ministry of Water and Environment a position he took over in October 2018 from his predecessor Dr Pascal Musoli. 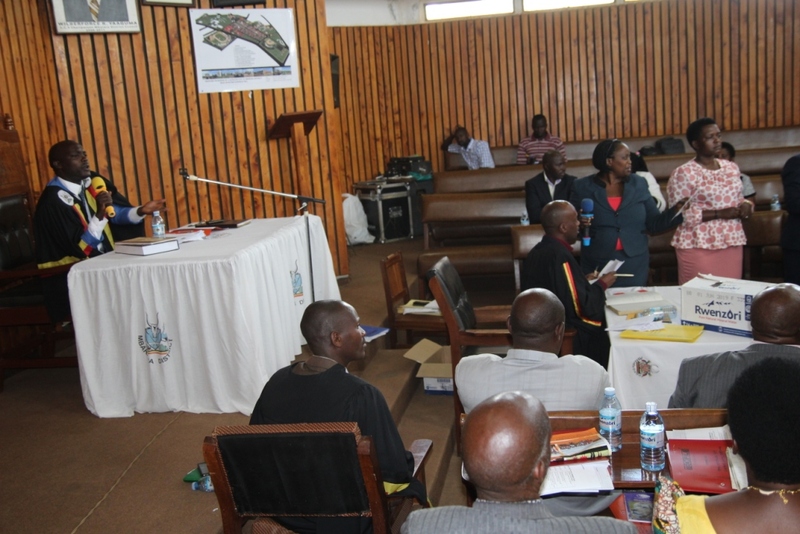 On Monday, the Mbarara district Council asked the District Chairman, Rtd Capt JB Bamuturaki to set up a committee that will investigate the issue of Ndeija sub-county. Efforts by this website to reach the Mbarara CAO, Cuthbert Esoku for a comment were futile as he could not pick our reported calls. While addressing the nation on corruption, recently, President Yoweri Museveni issued a stern warning to CAOs who have failed to prevail over corrupt civil servants and embezzlement of public funds. He said that CAOs as well as Permanent Secretaries in Ministries, Town Clerks and Sub-county chiefs are the custodians of accountability for public funds and threatened to sack those that fail to account.